The wait for Camp Waterdown Summer 2019 is over! Start your Registration Today! Our Registration Form for 2019 PA Days are now open and ready for registration. March 1 June 7 June 28 REGISTER NOW Thank you for your patience! Things for Waterdown Families to do this coming Winter Holiday! Making good family memories will last a lifetime and are an important part of a child’s healthy social development. We provide just some ideas for family activities in and around our community this coming Holiday season. We’d like to wish all our families and children a happy holiday long weekend! Our programs at all locations will be closed Friday April 19 and re-open on Tuesday April 23rd. Did you have an issue trying to register for Camp Waterdown’s Summer 2019 Program? 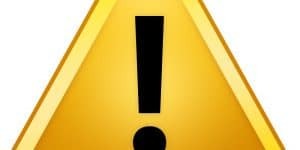 We discovered a small programming error that could prevent an existing “Subscriber” to our email lists from being able to complete a Summer Camp 2019 registration. That should be fixed now.